Your Galapagos Island adventure begins as soon as you arrive in the archipelago. You’ll start by transiting through a VIP lounge within Baltra Island Airport, our guides assisting with any luggage, before crossing the crystalline Itabaca Channel; a popular waterway which separates Balta and Santa Cruz Islands. 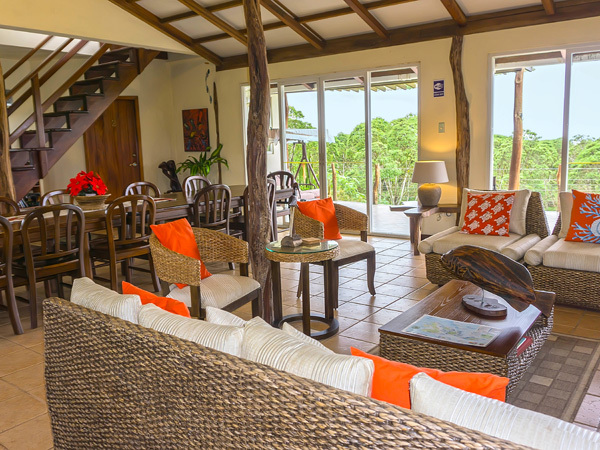 Your destination is Semilla Verde Boutique Hotel, a homely Galapagos eco-retreat big on yoga, conservation, and exploring the best of the archipelago. 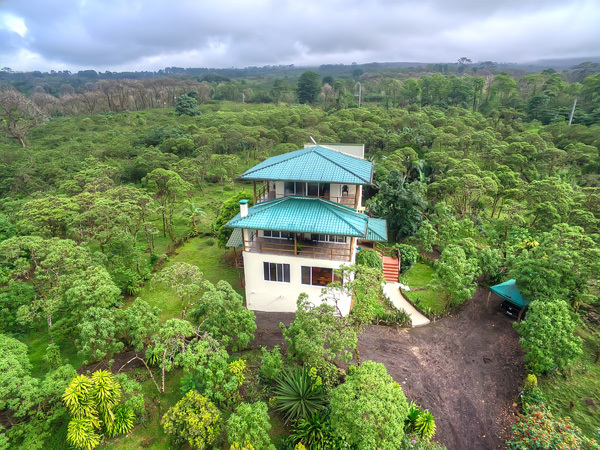 Having checked in and enjoyed some early orientation around the lush grounds of Semilla Verde, kick off your Galapagos tour with a home-cooked lunch and chance to meet your friendly hosts. Day two of this immersive wildlife experience encompasses two Galapagos favorites: North Seymour Island and Bachas Beach. You may have been lucky enough to see them already on your arrival day, but the first of these two stops, North Seymour Island, is a well-known nesting site for Blue-footed Boobies; an early chance to catch a glimpse of the Galapagos Islands’ most popular species. You can also expect families of Frigate Birds, Swallow-tailed Gulls, Herons, Marine and Land Iguanas, even Tiger Sharks prowling the shore; which itself is a postcard of powder-white sands and native forest. So, having dropped anchor off the coast of North Seymour, a snaking wildlife trail will lead you to some of the main sites if seeking out these various species, thriving in their natural habitat on an island characterized by its low-lying vegetation and pebbly shores. Then, this afternoon, it’s over to Bachas Beach back on Santa Cruz Island. Here, not only are the pale white sands of Bachas idyllic enough in their own right, allowing for a little downtime ahead of your busy trip, but there is also an unexpected amount of wildlife here including Sally Lightfoot Crabs; Pintail Ducks; Brown Noddies; Flamingos and even nesting Green Sea Turtles – if visiting between December and April. This all means that you can indulge in either a relaxing beach stroll or some accessible wildlife spotting while here, before heading back to Semilla Verde Boutique Hotel, around 25 minutes away. 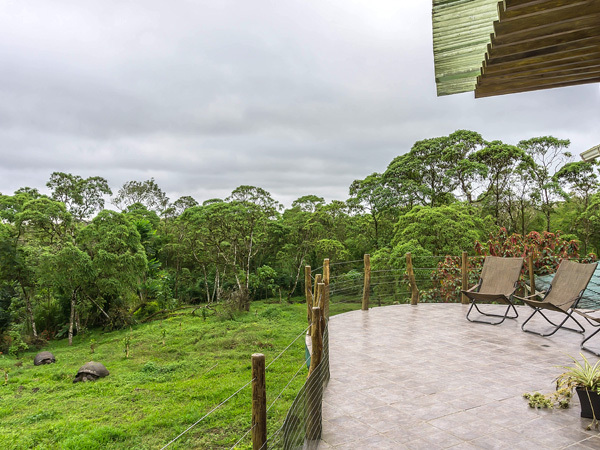 The Santa Cruz Highlands are a real pleasure to explore, what with their endemic wildlife, roaming Giant Galapagos Tortoises and of course, the Los Gemelos craters; two colossal sinkholes which must be seen to be believed. This all makes for an essential part of your Galapagos exploration and education, so will be the focus of this morning’s tour. If choosing Los Gemelos as your main attraction, the wildlife walk to get there is a pleasant excursion in itself, so keep an eye out for native bird species and endemic plant-life which thrives in the Santa Cruz Highlands. Once here, gaze out over this captivating highlight of the Galapagos Islands, as lush foliage fills each of the two huge caverns – one stretching nearly 1,300ft across and 2,300ft deep. Time can then be spent exploring an eerie world of underground lava tunnels, petrified as they formed during ancient volcanic eruptions, or seeking out more of those Giant Galapagos Tortoises for one perfectly captured photograph to take home. This afternoon, either head into Puerto Ayora or relax around the grounds of Semilla Verde, if not already booked on another last-minute tour. Your Galapagos wildlife adventure comes to a climax today, with a grand tour of Bartolome Island; its lookout spots and rugged coastline. First, having crossed the Itabaca Channel and moored up, take to the island’s wooden walkways and begin your ascent to one of the best viewpoints in the Galapagos. The reason is that although Bartolome itself is relatively barren, all volcanic rock and petrified ancient lava flows, from this angle you get a 360-degree panoramic look at the wider archipelago; a completely different perspective on exactly how these islands were formed. This then makes a Zodiac boat ride – the next part of your excursion – all the more enjoyable, as you glide past families of Galapagos Penguins clinging to the rocks, Herons and Hawks, before passing the golden beaches of Pinnacle Rock, home to a large Sea Lion Colony. The waters which border these soft sands also teem with marine life, making them perfect for snorkeling and scuba diving, which you will get to do just off the adjacent ancient lava fields of Sullivan Bay; one of the real-life Galapagos highlights. As night draws in, head back to Semilla Verde Boutique Hotel for dinner. As your Galapagos discovery with Semilla Verde Boutique Hotel draws to a close, why not enjoy one last Pacific Ocean sunrise before taking the return journey to Baltra, in time for a private airport transfer and your onward journey. There is a lot you can fit into five days, and the Semilla Verde Boutique Hotel is a nicely isolated, welcoming and well-run base from which to explore the Galapagos Island archipelago during that time. Set in its own verdant grounds and with a penchant for yoga, this hotel is as keen on wildlife encounters as it is on wellness, and simply enjoying the view. As a result, your Galapagos adventure looks all the more appealing, as days are spent on island visits, snorkeling or hiking, before returning to a home-cooked meal and entirely laid-back atmosphere. Beginning on Santa Cruz Island, you will have the chance for some early orientation on day one, before heading to the wildlife-rich coasts of North Seymour Island and Bachas Beach for extended nature walks. 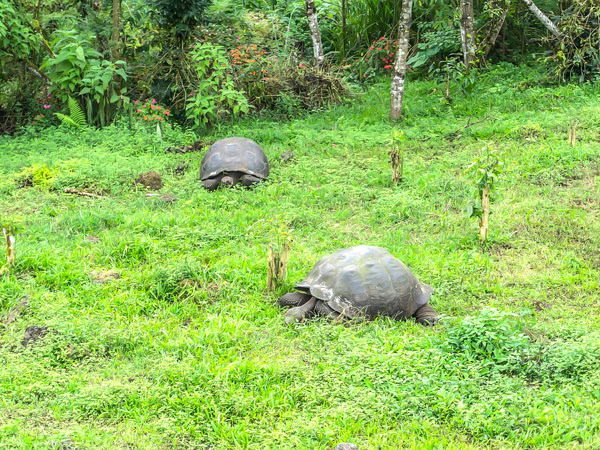 There’ll be time spent exploring the Santa Cruz Highlands in-depth, including chance meetings with the resident Giant Tortoises, though the wildlife keeps on coming in the form of tropical fish; Sea Lions; Rays; White-tip Reef Sharks; Iguanas; Blue-Footed Boobies; Flamingos and many, many more during visits to Bartolome Island. The above itinerary reflects an intended program, however, it should be read purely as a guide. This is because weather conditions, wildlife encounters, and any unforeseen circumstances beyond the operator’s control on the day may affect the eventual itinerary, and route.